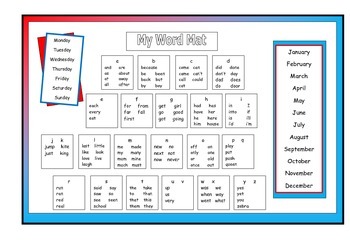 A laminatable word at or use in the primary classroom. Contains high frequency words in alphabetical order. Also contains the days of the week and the months of the year.